Sapium sebiferum (=Triadica sebifera) (Chinese tallowtree) is a deciduous tree (family Euphorbiaceae) that invades wildland areas and rapidly replaces the natural communities. Originally planted as a shade tree in urban areas, it can threaten wildlife habitat and crowd out native vegetation. 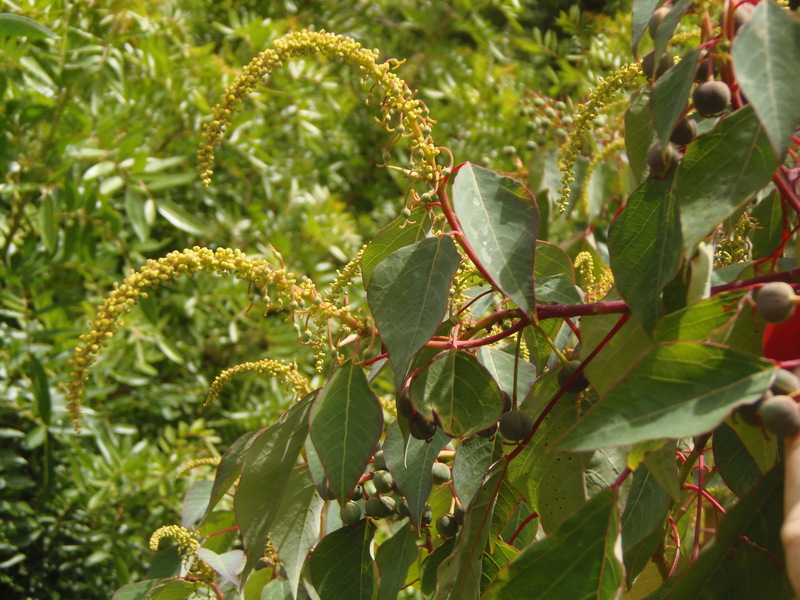 It is only beginning to invade riparian areas of California, but is considered a major invasive species in the southern forests.